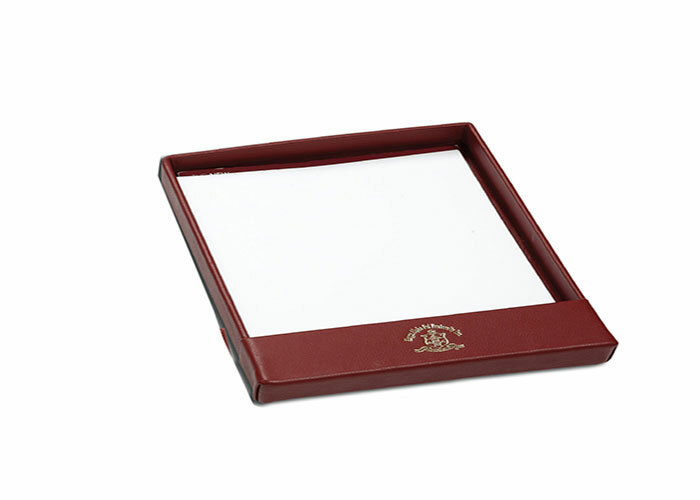 A classic leather clad paper tray. Hand constructed out of our signature leather line or other materials. Plenty of room for your Hotel, Corporate or Academic logo. Standard colors are black, navy, forest green, burgundy. Non skid velour base. Hundreds of optional colors and leathers available. Match with phone caddy.paper. Imprint Area: Fits 8-1/2 x 11"